The Huntron ProTrack Scanner I accessory allows the testing of components using standard IC clips and cables. 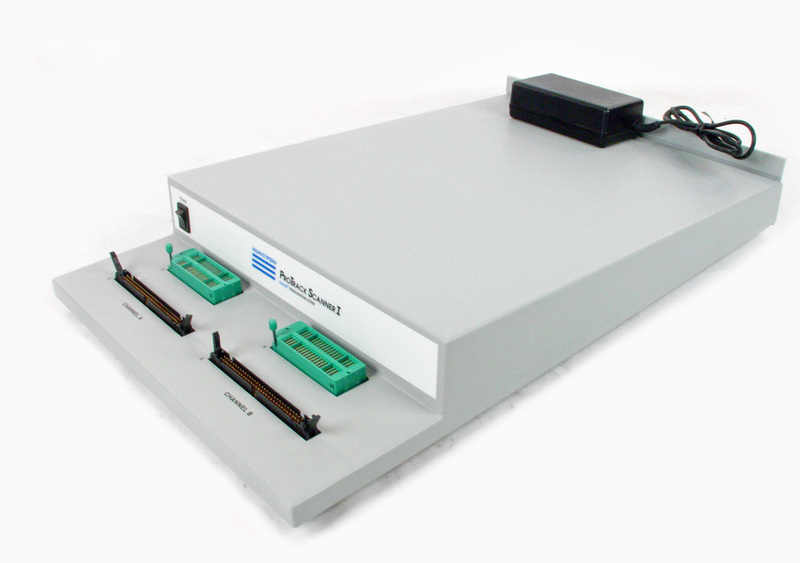 This combination allows for faster testing by scanning up to 128 pins. 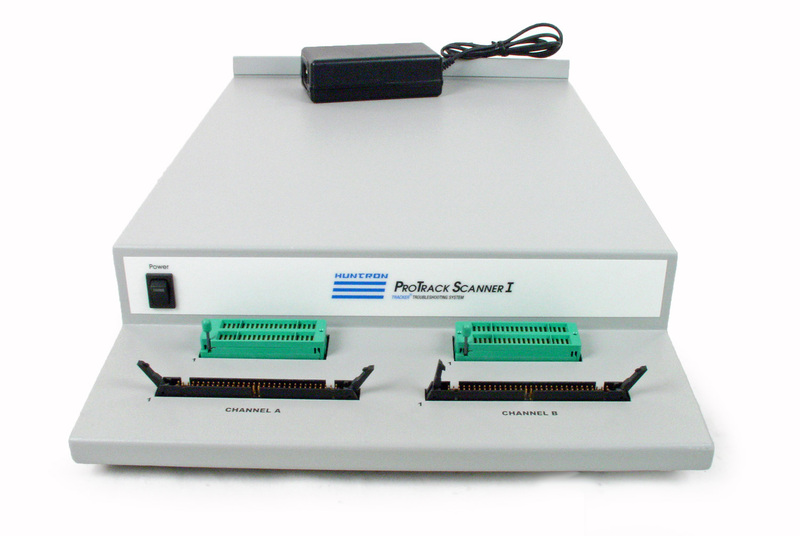 The ProTrack Scanner I consists of two 64 pin channels with IDC headers for cable connections and ZIF (zero-insertion force) sockets for testing discrete ICs. 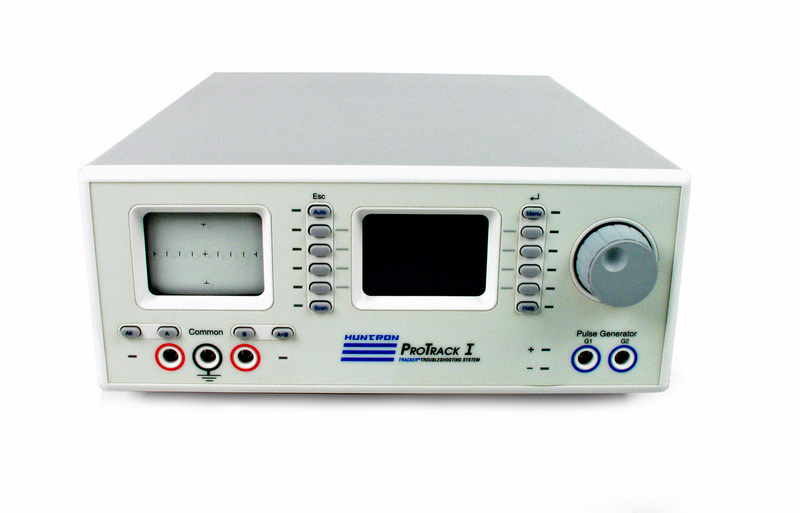 The ProTrack I Model 20 and ProTrack Scanner I combination can be used as a stand-alone system to make quick comparisons between two PCAs. When connected to a personal computer running Huntron Workstation for Windows® software, the ProTrack I and Scanner I can scan and store component signatures for later reference when testing suspect boards. 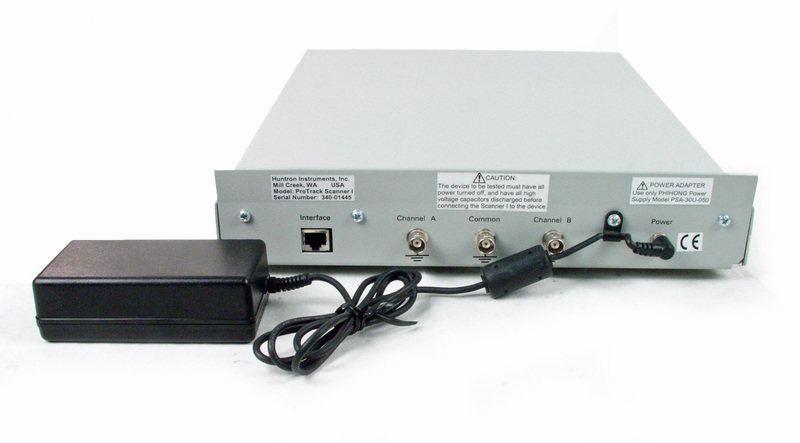 Huntron ProTrack 1 Model 20 Huntron Protrack I Model 20 Tracker programmable troubleshooting system.